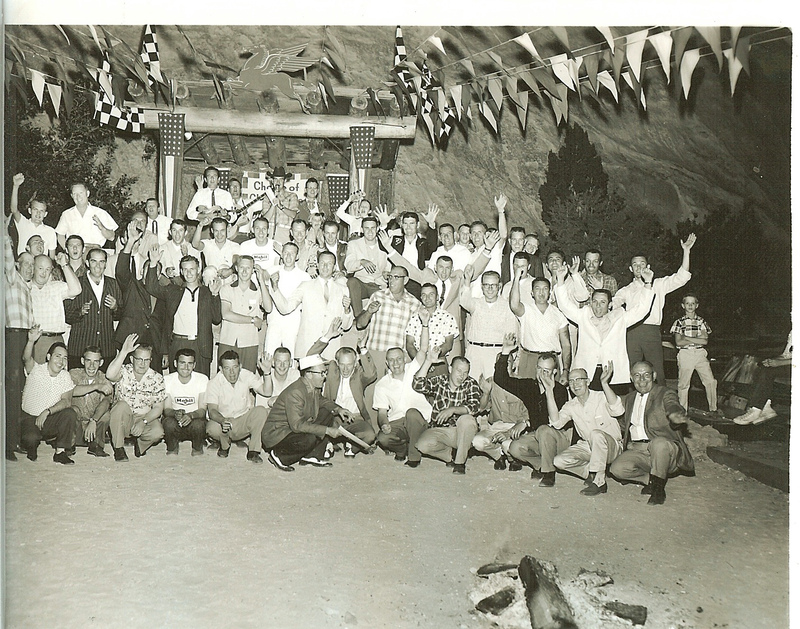 1957 - BCRA Is Born! At The Chuck wagon On Pikes Peak Where The BCRA Was Born in 1957. 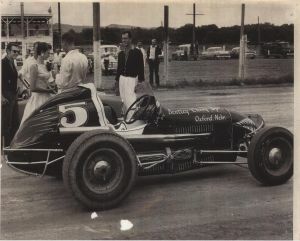 Charlie Lowderman - Ray Newbill Owner - #18 - 6 Cyl. 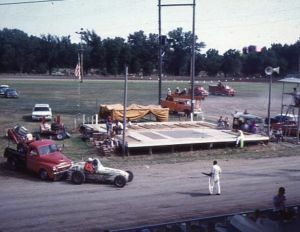 Chevrolet in 1957. 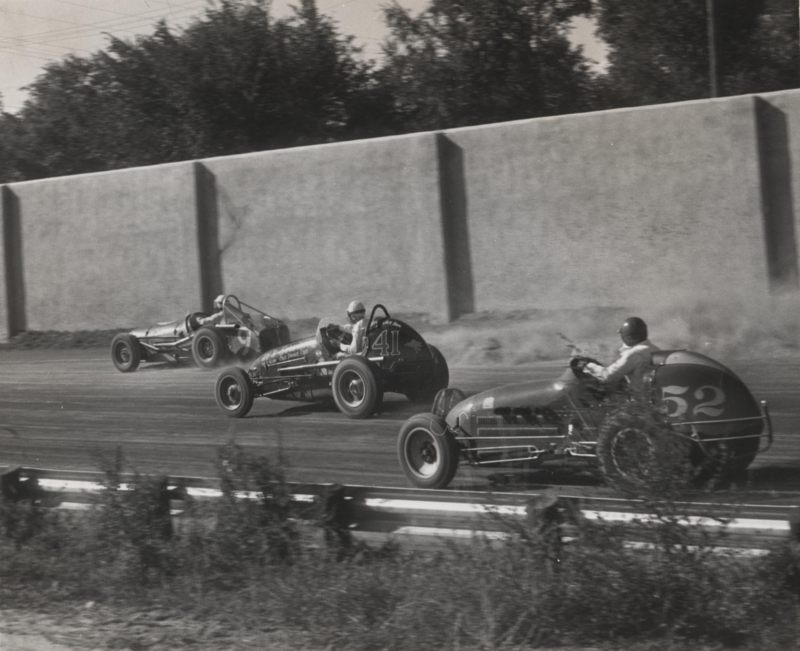 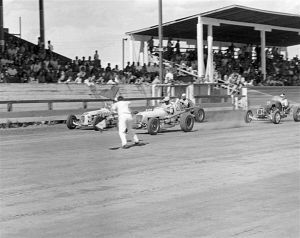 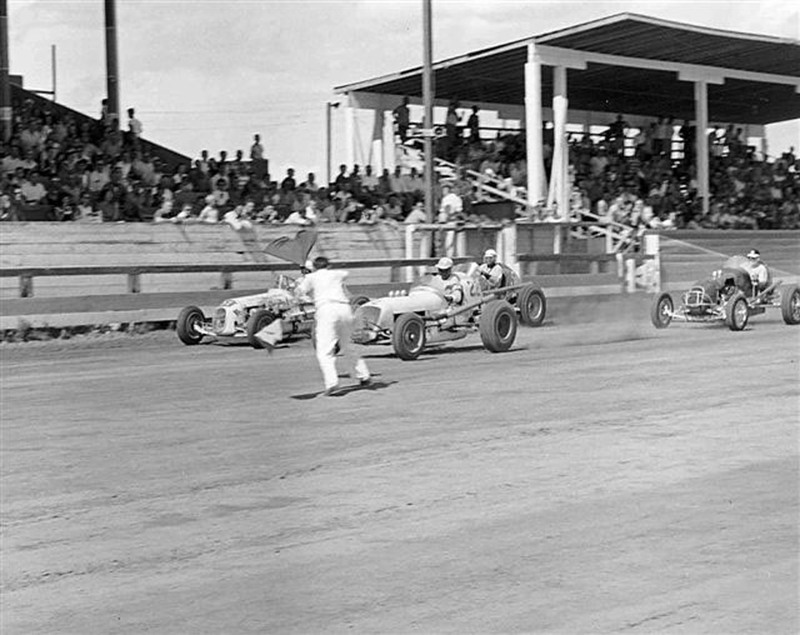 Drivers Al Sherman, Jack Hahn & Wayne Hoffman compete at Pueblo, Colorado in 1958. 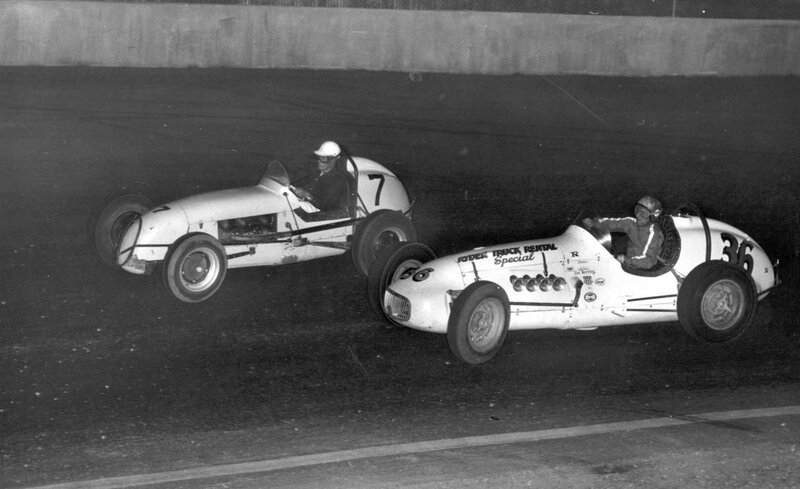 Roy Walker and Tommy Clark compete at Arapaho County Fairgrounds near Denver, Colorado in 1958. 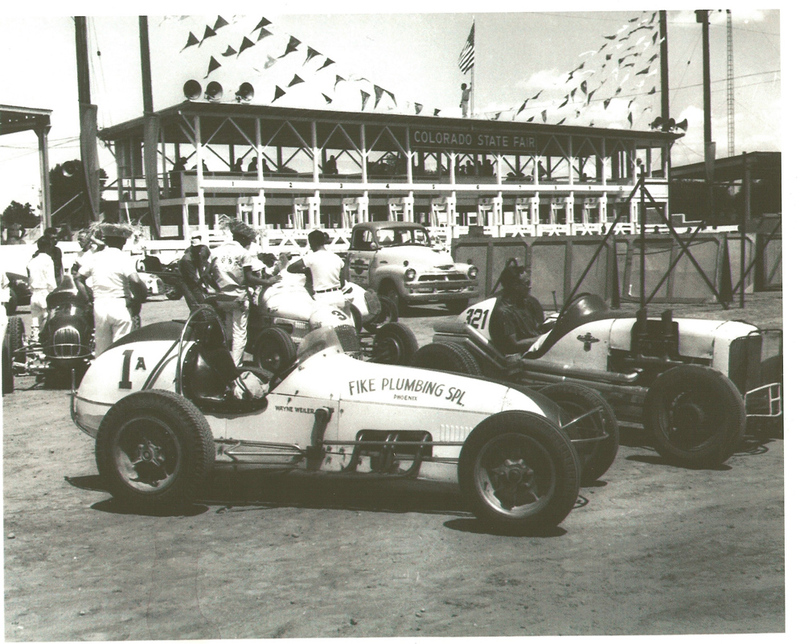 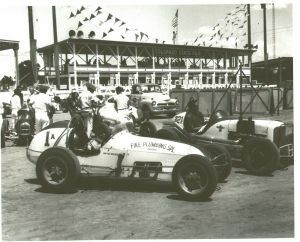 Fikes Plumbing Special driven by Arizona's Wayne Wieler at the Colorado State Fair in 1958. 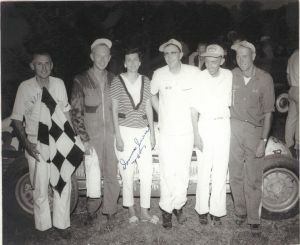 Gordon Herring receives trophy from Bonnie Pastor in 1959. 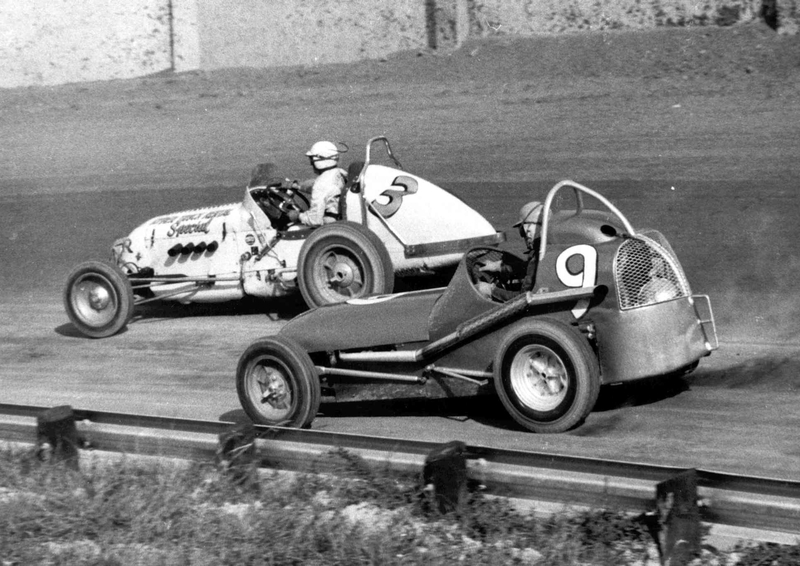 Ardelle Young in the Morosic #9 and Porky Rockowitz in #6 outside at Belleville, KS. Photo shot by Byers in 1959. 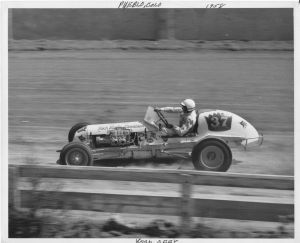 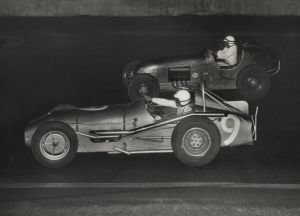 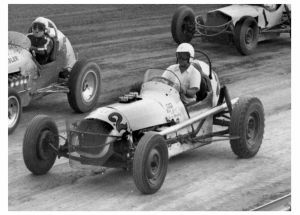 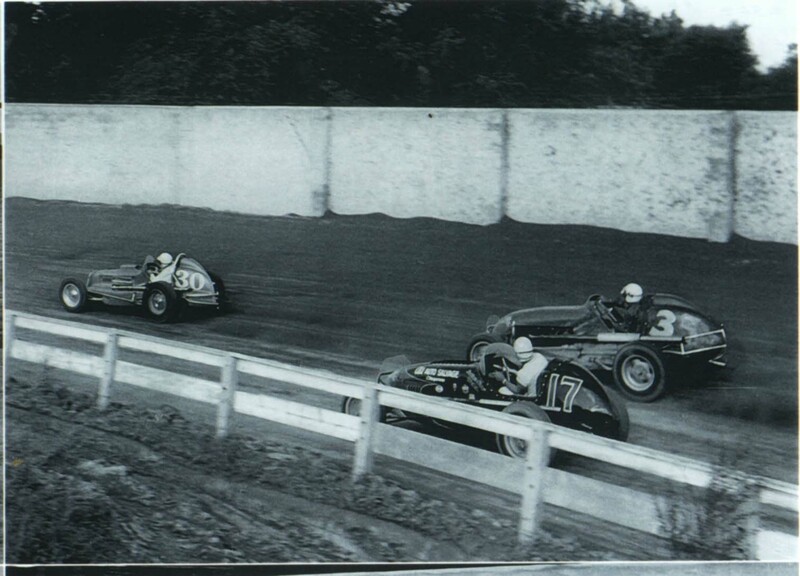 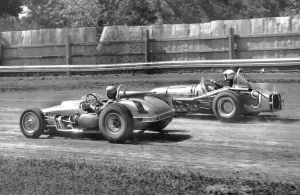 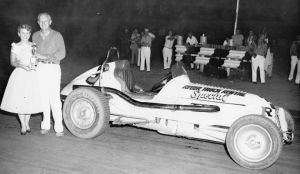 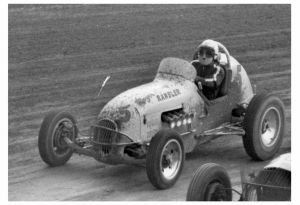 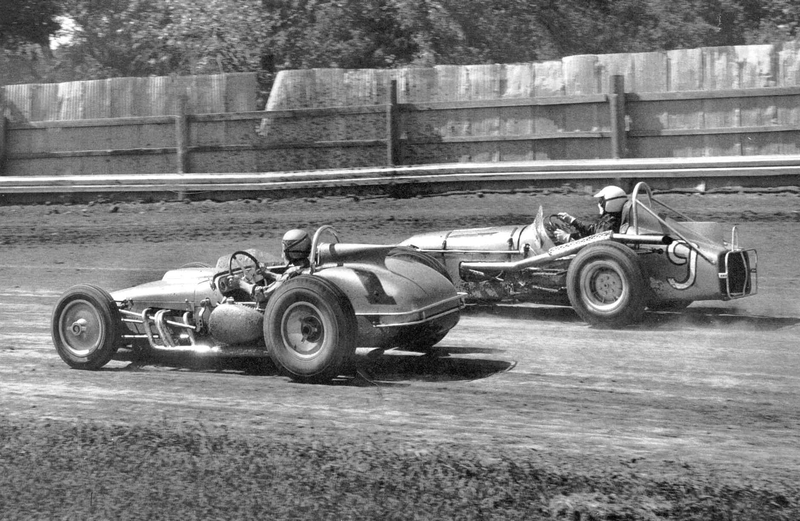 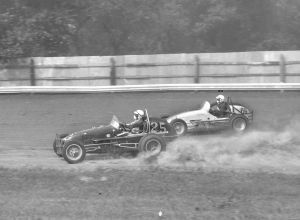 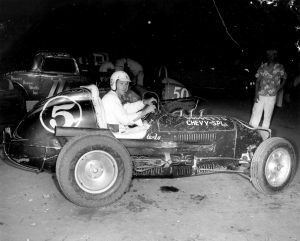 BCRA Hall of Famer Tom Davey in the Morosic Roadster slipping under Billy Myton in the Big Car at Englewood Speedway, 1960. 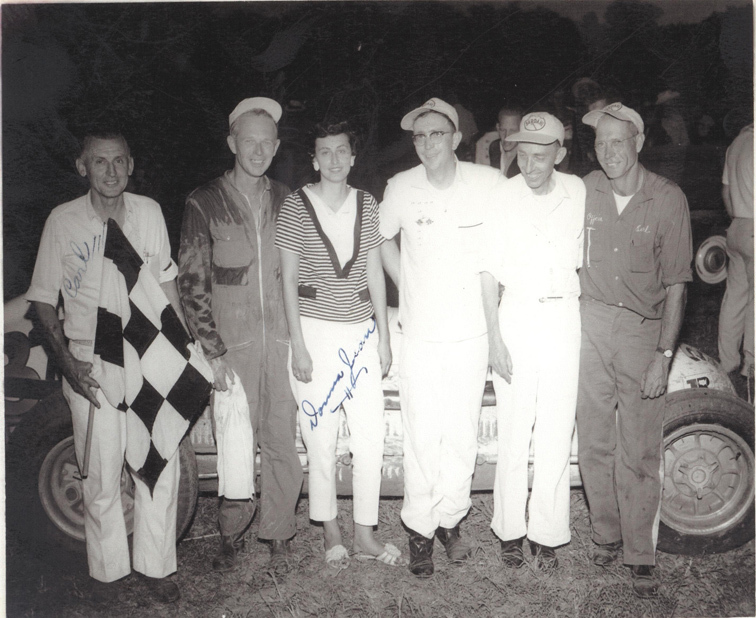 1960 Byers photo with Karl Mismach, Gordon Herring, Ms. Donna Norrick, unknown, Clarence Froid and Earl Kouba. 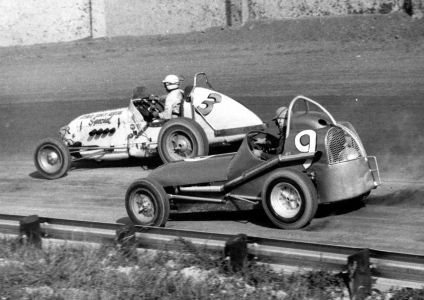 Curly Doggett and Kurtis at Canyon City, Co 1958. 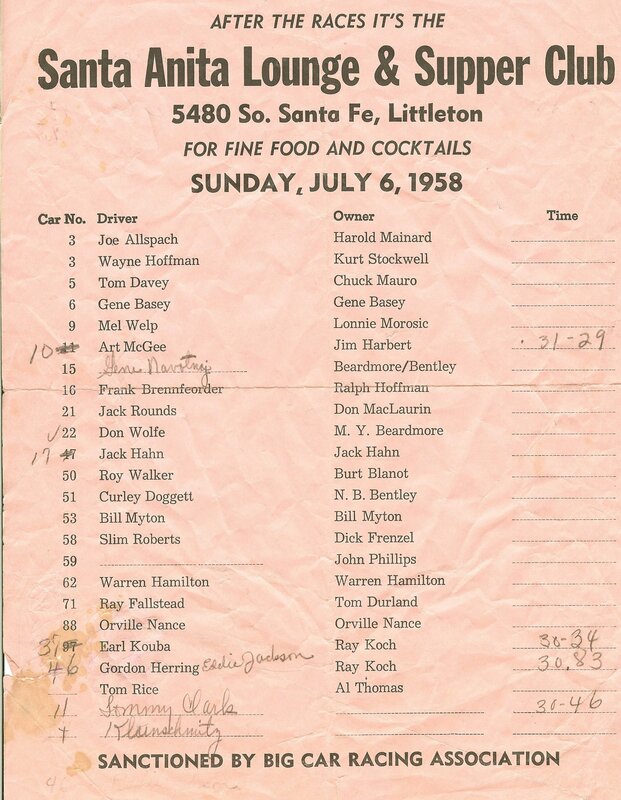 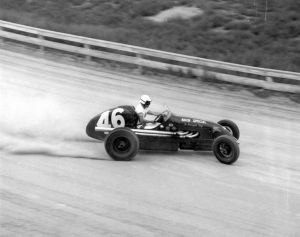 Car #5 was called "The Purple People Eater"
Eddy Jackson driving the #46 at Pueblo, Colorado in 1958. 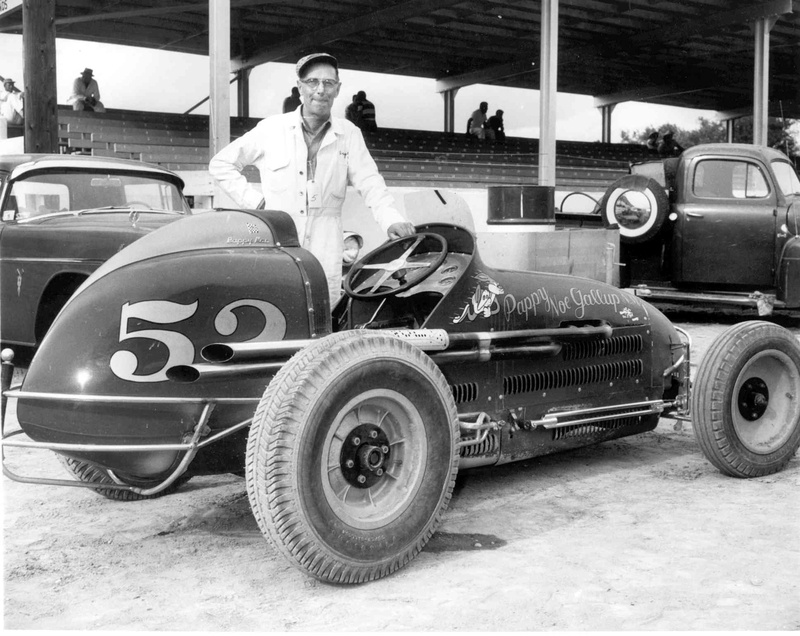 Curly Doggett at Englewood, CO. less than a year after receiving critical burns on the Wakeeney, KS track, Doggett would win the BCRA owners championship in 1959. 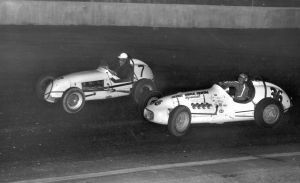 Grier Manning #7 and New Mexico's Bernie Shires #36 battle it out at Englewood, Colorado in 1959. 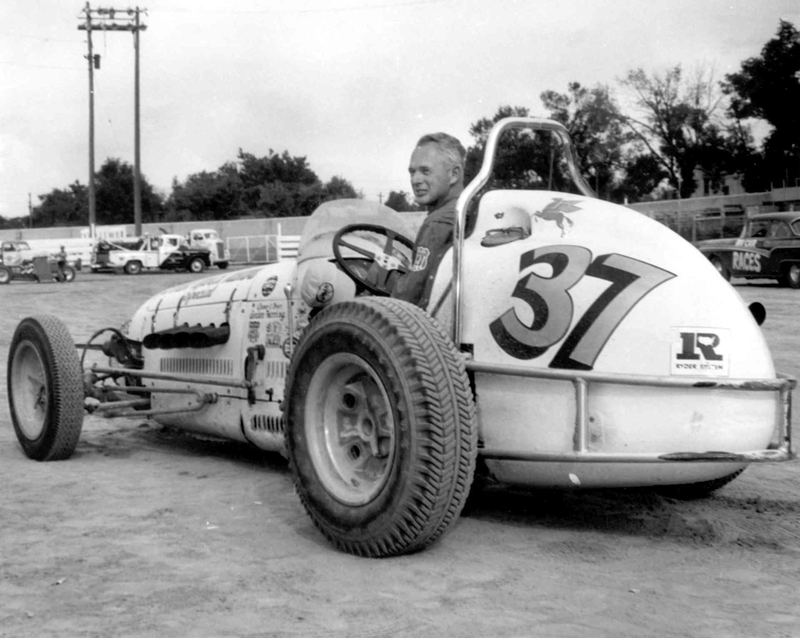 Gordon Herring sits in his #37 Sprinter at Pueblo, Colorado in 1959. 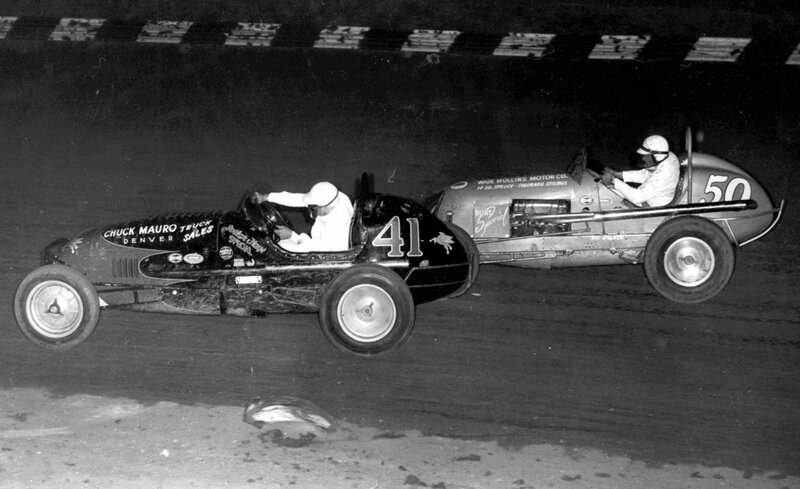 Jack Hahn in the #41 and Roy Walker, 1958 BCRA Champ in the #50 Blanot Lincoln at Englewood, Colorado 1959. Pappy Noe of Gallup, New Mexico poses with his car #52 at Pueblo, Colorado in 1959. 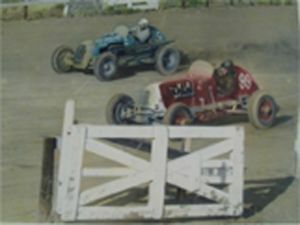 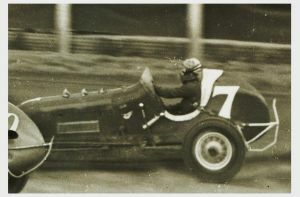 Pappy started racing in the late 1920's! 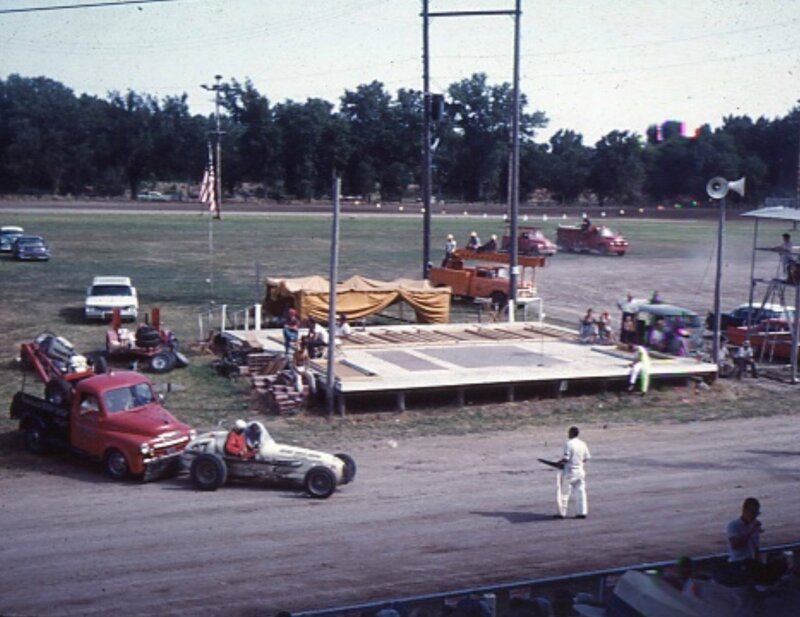 1960 at Norton, KS. 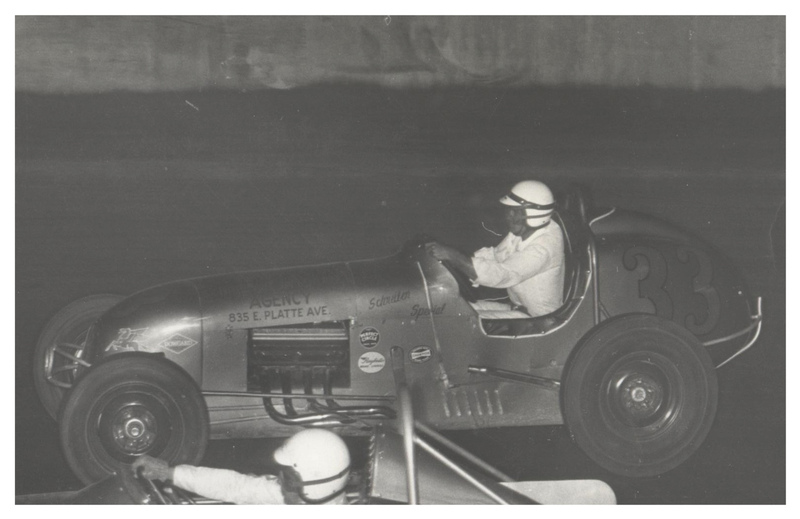 Ody Fellows in his beautiful roadster #1 constructed from the Brown Kurtis Krafte 2000 and Kansan Merle Barnett in the Morosic propane burner #9. #25 Harold Leep and #69 Jerry Shumaker mix it up at Norton, Kansas in 1960. Pat Kieffer of Casper, Wyoming at Englewood, CO. 1960. 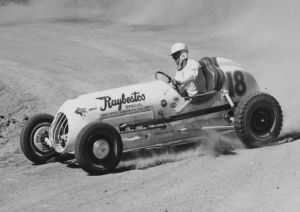 Pat was later killed while testing this car on a dirt road West of Casper. 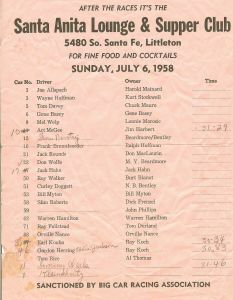 The Curly Doggett Circle 5 Kurtis At Englewood, CO. 1960. Eddie Jackson In The Roger Mauro Miller car at Pueblo, CO. in 1960. Bill Lacy at the wheel of the Novotny Gmc at Pueblo, CO. in 1959. 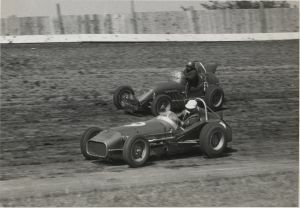 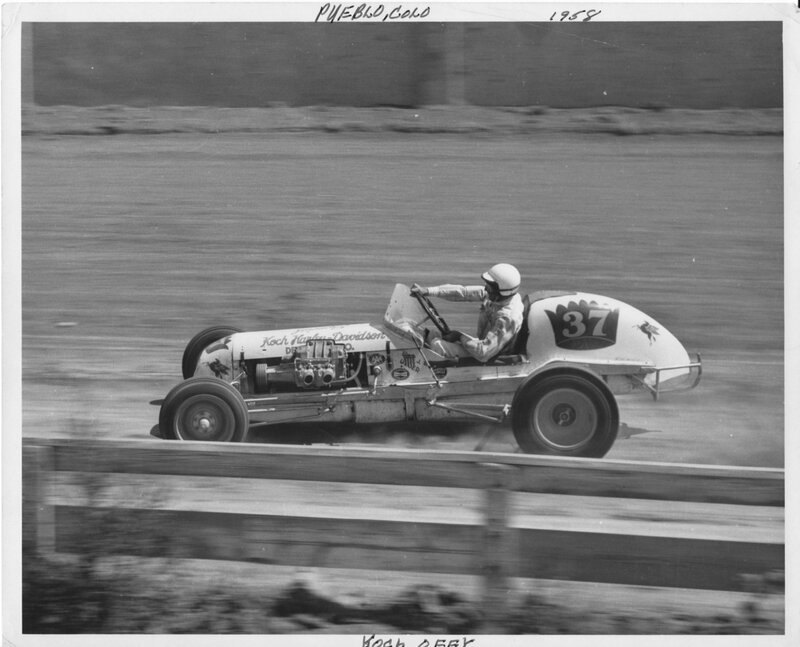 Billy Myton on the outside as he competes at Englewood Race Track in 1960.